Beginning next year, most mileage rates used to determine business deductions for the use of automobiles will go up. Note: this rate cannot be used for more than four automobiles simultaneously. Note: moving expenses cannot be deducted unless you are actively apart of the military and permanently changing stations. 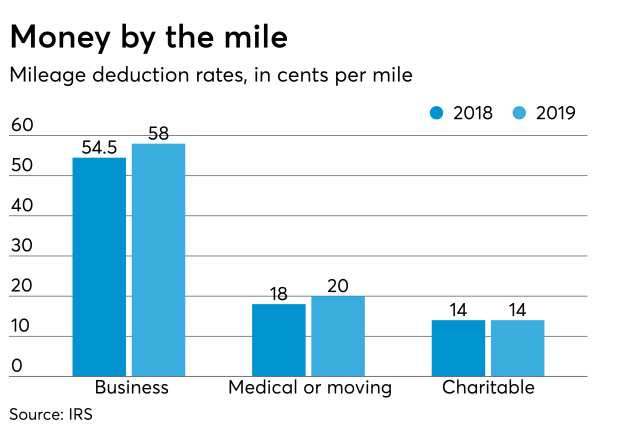 Fun fact: In 2018, business and medical/moving rates only went up 1 cent. Learn more about mileage rates from Jeff Stimpson. Learn more about 2018 mileage rates from IFEBP. Additionally, you can learn more about our services here.